Rational Belief in Classical India : Nyāya's epistemology and defence of theism / by Matthew Roe Dasti. - Austin : The University of Texas at Austin, 2010. 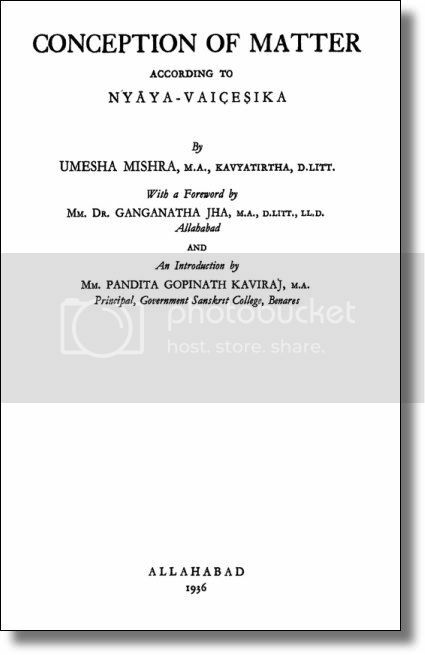 - ix, 285 S.
Conception of matter according to Nyāya-Vaiçeṣika / by Umesha Mishra. With a foreword by Ganganatha Jha and an introduction by Gopinath Kaviraj. - Allahabad : Umesha Mishra, 1936. - xxxvii, 428 S.
„On the historical development of the concept of inferential upādhi“. - In: Asiatische Studien = Études Asiatiques. - 65,1 (2011), S. 211-225. A synopsis of science from the standpoint of the Nyáya philosophy : Sanskrit and English / [J. R. B.]. Printed for the use of the Benares College by order of Govt. N. W. P. - Vol. 1. - Mirzapore : Orphan Press, 1852. - xxxi, 103, 131 S.
The Kusumánjali : or Hindu proof of the existence of a supreme being / by Udayana Áchárya. With the commentary of Hari Dása Bhaṭṭáchárya. Ed. and transl. 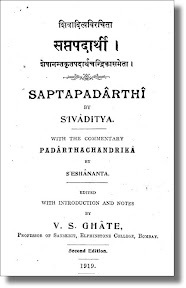 by E. B. Cowell, assisted by Paṇḍita Maheśa Chandra Nyáyaratna. - Calcutta : At the Baptist Mission Press, 1864. - xv, 65, 85 S.